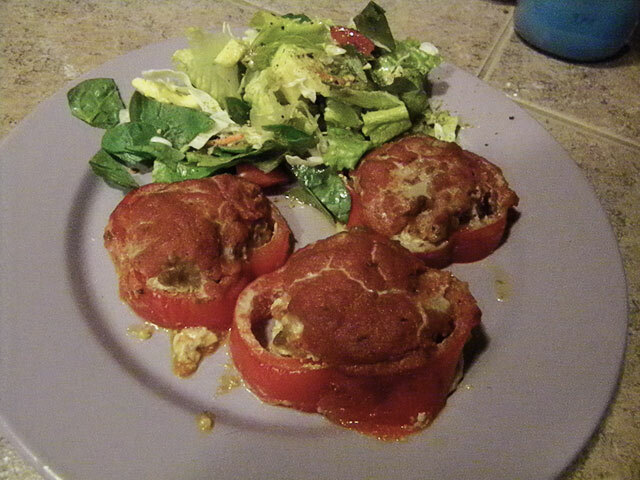 I’m a huge fan of stuffed peppers, but sometimes I feel like I get a ton of the meat filling and not a lot of pepper. Cutting the pepper into rings solves this problem. For SCD – these use tomato paste and I used Pomi tomatoes for the sauce – but you can easily sub fresh tomatoes if you like. Paleo and 21 Day Sugar Detox – works perfectly! This recipe is for 21 Day Sugar Detox, Paleo, and SCD. If you are not doing 21 Day Sugar Detox or Paleo, you can add some grated Parmesan to the top.